Based out of China, ZTE Corp is world's fourth largest mobile phone manufacturer and fifth-largest telecoms equipment maker (based on 2011 statistics). And when such a big player decides to go ahead with something entirely new and unknown, things can get interesting. 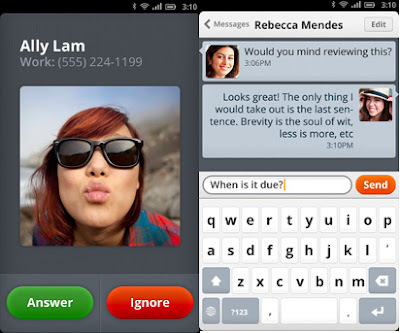 For starters, Firefox OS is an open source operating system for smartphones and tablets being developed by Mozilla. With the project, codenamed Boot to Gecko (B2G), Mozilla intend to enable the open web as a platform for mobile devices. Speaking to media persons in China, ZTE spokesman David Dai Shu revealed that the company is planning to launch smartphones running Firefox OS in the first quarter of 2013 itself. The move is part of ZTE's plan to diversify away from Google's Android and Microsoft's Windows operating systems. Smart move I say. "We are trying to increase our efforts in coming up with our own operating system, while introducing products based on Android. It's all part of our wider plans to create a better balance of products using various operating systems. We won't just rely on Android or Windows," he added, according to Reuters. With Firefox OS also joining the party, the count of operating systems meant for mobile phones and tablets which are also open source now becomes 4 - Google's Android, Linux Foundation's Tizen (previously called MeeGo), Open WebOS and now Firefox OS. What is even more interesting is the fact that all of them are based out of Linux. Exciting times for all those who believe in the ideals of free software movement.